"The number of ghosts and the amount of paranormal activity in St. Augustine continues to astound people. " 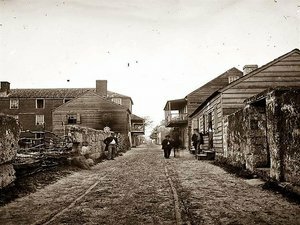 St. Augustine is considered to be one of the most haunted places in Florida. 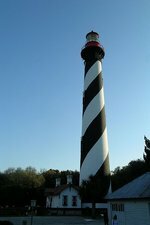 Known as the “Nation’s Oldest City”, this Atlantic coastal city is known for a wide array of attractions such as the Alligator Farm, the historical tours, as well as the popular “Old Fort” that sits on the Matanzas. During the daytime hours, it is common to see tour trolleys moving about the tight streets, a consistent flow of vehicular and foot traffic, as well as horse and carriage rides moving about. However, at night, the Ancient City becomes a little quieter. The air becomes a little more mysterious. It is common to see various businesses hosting St. Augustine ghost tours, black trolleys illuminated by fluorescent lights, and people walking with lanterns around the city teaching tourists about the ghost stories associated with various locations. This is truly one of the most popular and most haunted places in Florida. The City of St. Augustine was the first city in the United States to be officially settled by the Europeans. The earliest documented case of a visitor to the land now known as the “Ancient City” was recorded in the year of 1513. The man that visited was an explorer from Spain. His name was Ponce de Leon. However, it was not until the year of 1565 that the city was actually founded. It was a man by the name of Pedro Menendez de Aviles that took this honor. If you examine the history of St. Augustine, you will find that it has faced many challenges. The Spanish have ruled this region, the Europeans have ruled this region, and finally the Americans set rule over the Atlantic coast city. It is no wonder, with all of the battles and fights for rule, that this is considered to be one of the most haunted places in Florida. When you visit the City of St. Augustine, you will find that it has a wide array of antiquities. Historical buildings, ancient roads, and even historic tours express the torrential past that the region has had, complete with colorful stories of heroism as well as defeat. It is absolutely no wonder that many locals and visitors alike claim that there are several ghosts that linger in and around the city. The Nation’s Oldest City has what is considered to be the largest variety of ghostly tales among all cities located in the United States. Once the sun sets and the streets are overcome with a veil of darkness, several St. Augustine ghost tours open for business where guests may walk to the reported haunted places, climb onboard a dark ghost train, step onboard a ghost tour ship, or even ride in a hearse complete with a ghost tour guide to learn more about the mysteriously haunted locations that are located both in and around the city. Throughout the city, you will find several places that are rumored to be haunted. These locations include the Castillo de San Marcos, the old city gates, the old Spanish Military Hospital, Flagler College, The Florida School for the Deaf and Blind, the St. Augustine Lighthouse, The St. Francis Inn, the Apopinax Tree, the Casablanca Inn, the Old Drugstore, the Huguenot Cemetery, the Old Schoolhouse, The Old Café, The Old Prison, the Chapel of Our Lady of La Leche, and several other inns, homes, restaurants, streets, and lands. If you are interested in visiting one of the most haunted places in Florida, you should check out St. Augustine. There are a large number of St. Augustine ghost tours available that will give you the stories of the Nation’s Oldest City ghosts firsthand.